I think everyone wants guilt-free snacks. My goal is always to find something to eat that satisfies my need for a crunch without killing me with calories. 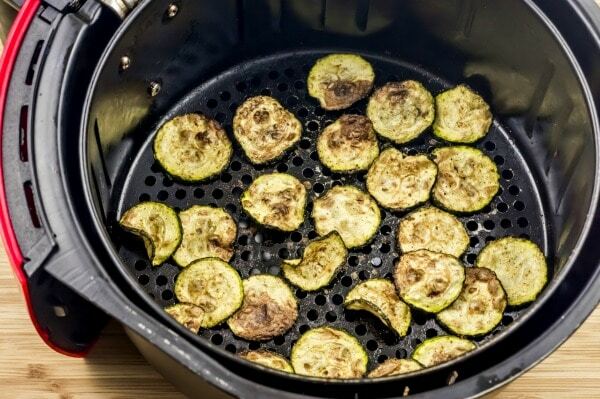 These Air Fryer Cajun Zucchini Chips are a perfect solution. This is a great Weight Watchers recipe too! I was worried that the water content of zucchini may not translate very well into a chip. Luckily…the air fryer really solves that problem! I will warn you though…the zucchini slices reduce a LOT in size…so you will want to double, triple or even quadruple this recipe!! It is important to get the zucchini sliced just right…not too thick and not too thin. The best size is to slice them into 1/8 inch slices. It may be easiest to use a mandoline slicer for this. 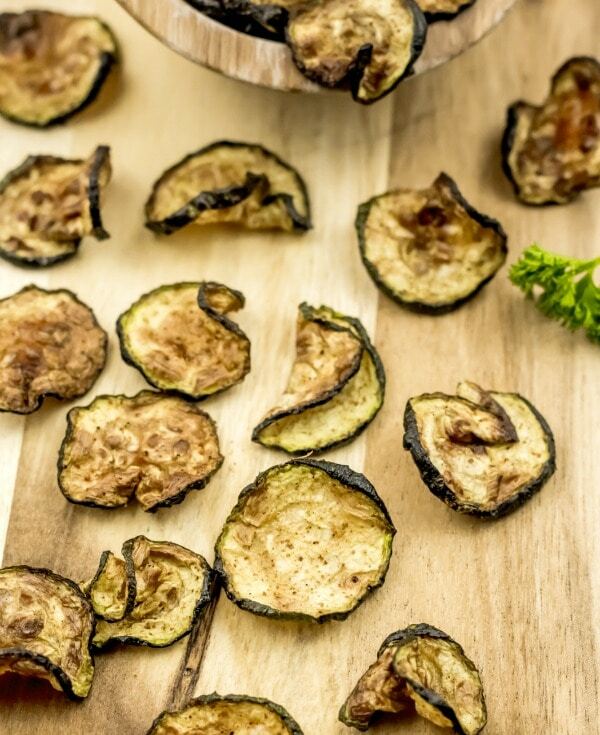 Now you need to coat the zucchini slices in nonstick cooking spray or oil. This allows the Cajun seasoning to stick. The lowest calorie option is to spray both sides of these slices with nonstick cooking spray. If you would prefer you can use a tablespoon of oil to coat them. Now add the Cajun seasoning to the bowl and stir until the slices are well coated in seasoning. 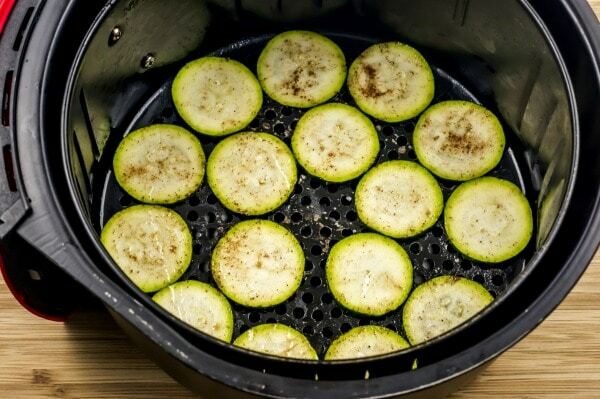 Spray the basket of the Air Fryer and then put the slices in a single layer in the basket. 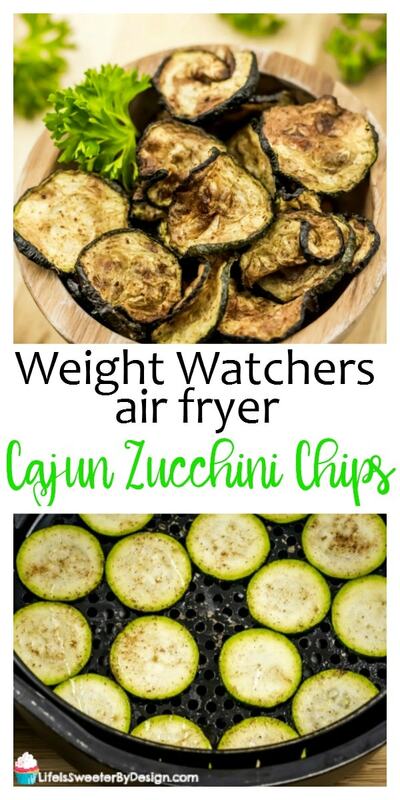 These Air Fryer Cajun Zucchini Chips are a great snacking choice for Weight Watchers. I like to make mine with nonstick olive oil cooking spray. Count the number of sprays and these should end up being ZERO Freestyle SmartPoints!! If you use oil then you will have to count those points. I have a lot of ideas for 1 Freestyle SmartPoint Snacks…but not very many for ZERO points! YES! I also love the heat from the Cajun seasoning!! 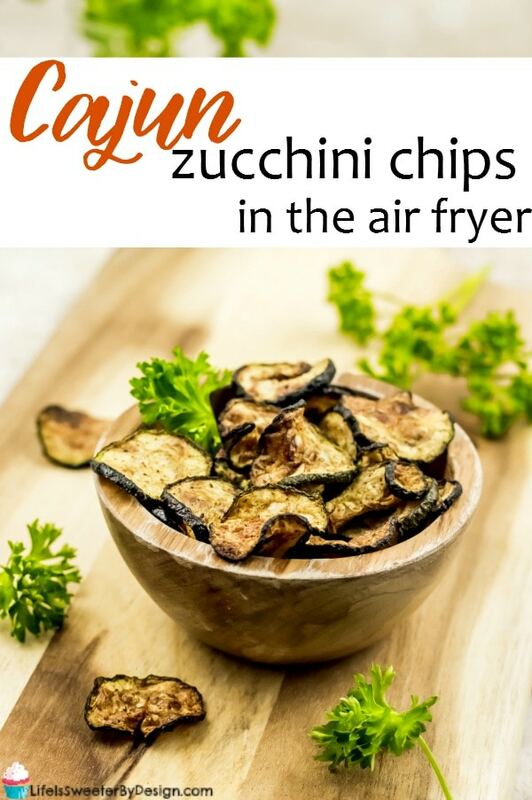 Do you use your air fryer a lot? What are your favorite things to make in it?